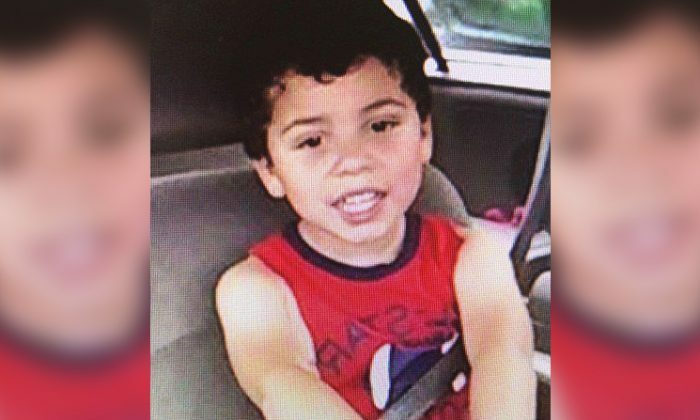 The search for a missing North Carolina 4-year-old might be transitioning from a search-and-rescue to a search-and-recovery mission after four days with no results. Raul Gonzalez Johnson, barefoot and wearing pajamas, wandered away from his home in Laurinburg, North Carolina, on the South Carolina border. Johnson was in the care of his grandfather, who left the boy unattended long enough to walk to the mailbox and back, according to WRAL. After 20 minutes of frantic searching, the grandfather called 911. An Amber Alert was issued, and more than 300 law enforcement officers, EMTs, fire departments, and volunteers from two states converged on the tiny town, trying to find some trace of the missing child. Three canine teams independently tracked the boy’s scent to a nearby pond. Scotland County Sheriff Ralph Kersey sent in five teams and ultimately ordered the pond drained, but so far nothing has turned up. “He’s a small child, weighs about 35 pounds, If I don’t drain it, or if we don’t drain it, then that doubt will always be there,” Kearsey said at a press conference Thursday. More than 40 agencies, including the FBI, are still searching through the wooded region. Raul’s mother fears her son might have been kidnapped. “I don’t know it’s taking so long and I’m not hearing nothing. so I’m starting to think somebody took him,” Johnson told WRAL. Despite her fears law enforcement officials have said repeatedly they do not suspect foul play. Still, they are not ruling out the possibility. Raul’s father has been arrested twice for sexually abusing a child in the family home, in 2007 and 2015. He is currently in prison.